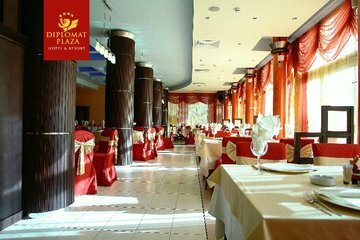 The 4-star Diplomat Plaza Hotel & Resort is located in the heart of the town of Lukovit, just an hour drive from Sofia. This is Bulgaria’s first topical luxury hotel and resort, spreading over 9 000 square meters in an environmentally clean region, near the Iskar Gorge, which passes through the Balkan Mountains and is known best for its raw beauty. All rooms and apartments offer the features and services needed to satisfy the most demanding requirements of the leisure and business traveler. But what turns Diplomat Plaza into Bulgaria’s most exciting and creative lifestyle hotel is the fact that each room is individual, making sure that each reservation is a new experience. The design of the room gives guests a taste of great locations from around to world and ranges from the typical ambience and interior design of Paris, London and Dubai to Bulgaria’s revival period, from the American Wall Street yuppie style to the simply spaced out fantasies meant to appeal to lovers best. 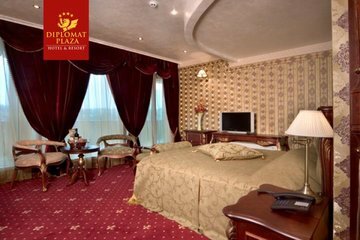 For the most fastidious among guests, the hotel offers topical deluxe rooms, designed to recreate the royal luxuries from the time of Russian Empress Catherine the Great and the acquisitive style of Carlo Danielli. 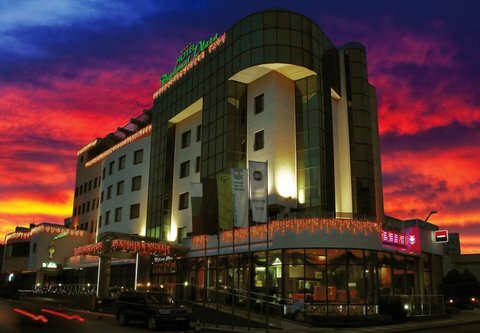 The hotel has six restaurants, each one built around a different concept and theme, a beauty center for SPA, wellness and anti-aging procedures, including indoor and outdoor pools, a shop for unique souvenirs by famous Bulgarian artists and craftsmen, as well as its own shooting site. 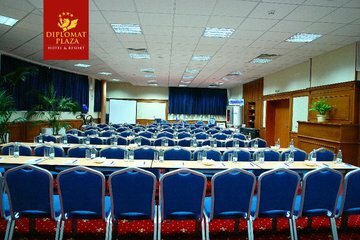 Besides being an ideal place for relaxation, Diplomat Plaza Hotel & Resort offers perfect business-friendly ambience and conference rooms for holding business meetings, business seminars and conferences. 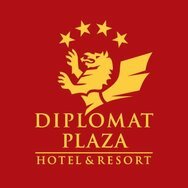 Diplomat Plaza is owned and managed by Balkan center Dilomat, which is part of Diplomat Business Group.